The Methexis Institute, based in Charlottesville, Virginia. 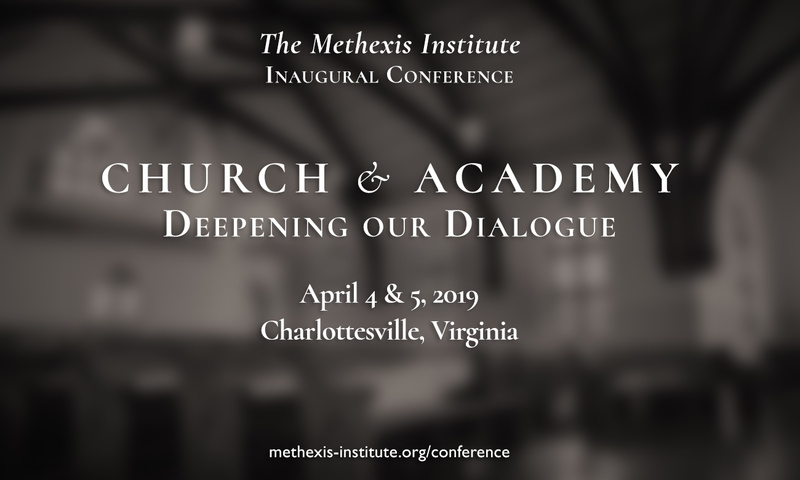 The Methexis Institute’s inaugural conference initiates an effort to deepen the dialogue between Church and academy – seeking clarity and generativity. Leading clergy, laity, and scholars from different backgrounds and areas of expertise will gather to interact (formally and informally) and explore ways to bring more Church into our scholarship and more scholarship into our Church – disclosing wisdom through the Church and beauty in the world. The Methexis Institute is delighted to collaborate with Mars Hill Audio – hosting Alison Milbank as the presenter for this spring’s Areopagus Lecture Series. For more information about the conference and for details on how to register, click here.